Every day, police officers face challenges ranging from petty annoyances to the risk of death in the line of duty. Coupled with these difficulties is, in some cases, lack of community respect for the officers despite the dangers these men and women confront while protecting the public. Exploring issues of courage, integrity, leadership, and character, Unleashing the Power of Unconditional Respect examines ways to effect organizational change that helps police officers inspire community trust and support with every citizen contact. The book begins by discussing why courage is often lacking in a bravery rich culture such as law enforcement. It demonstrates how personal integrity is the foundation for unconditional respect, and provides reasons why having and maintaining integrity are some of the most difficult struggles for individuals and law enforcement officers in particular. It enumerates some of the tactical benefits of unconditional respect as well as interpersonal benefits. Then, the book explains the concept of anima-based leadership core competencies. 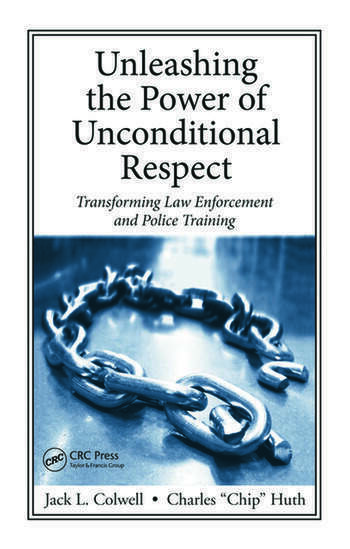 It examines how unconditional respect affects law enforcement’s interaction with the communities in which it operates and describes how it creates and builds high character. Finally, the book explores way to influence an organizational culture toward unconditional respect. The authors maintain a blog dedicated to the book. Jack Colwell also maintains a blog entitled Human Factors in Law Enforcement. The authors' animated Youtube video discusses relationships between police and communities. The authors' work was featured in a March 9, 2012 Force Science News article. Land of the Free and Home of the Brave—but Where Are the Courageous? I Hear Every Word You Say, but I Can’t Listen: Should I Care? You Disgust Me! Does It Matter? Unleashing the Power of Unconditional Respect: Transforming Law Enforcement and Police Training offers idealism and hope in an era missing both, and pushes TRUE courage in a profession that now desperately needs it. The concept of unconditional respect is the foundation of the service mindset that makes this profession more of a calling than a career, and is at the core of not only our life’s work, but our country’s most basic tenet — that being EVERYONE matters. We have entered a time in which the benefit of the doubt that officers used to take for granted has passed. Much of that can be traced to the way we have treated those we no longer respect. Making this book mandatory reading at every level would be a giant step toward realigning our core value compass and perhaps starting the credibility pendulum swinging back in the other direction. I strongly endorse the book and message that it sends, and hope for the sake of the profession that the word gets out. Much has been written about community policing, but nothing I have read expresses its essence as succinctly as Unleashing the Power of Unconditional Respect. It is an inspirational book of surpassing moral clarity that will challenge all who read it to be better than they are, on and off the job. 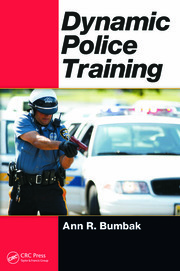 A must-read not only for all in law enforcement, but for anyone who aspires to real personal and professional growth. Colwell and Huth have written a book that deals with the very foundation not just of communication, but of civil society. Their careful thought, lifetimes of service, and insightful contribution will undoubtedly change the world for the better. This groundbreaking work re-centers law enforcement – and all professions – on the reason we serve. This is the defining work on finding courage in the heart to produce courage in the force. I will use this amazing book at West Point, in corporations and in government. Colwell and Huth merit genuine gratitude for giving us the axiom for the ages: the profession of law enforcement requires a personal anima that sees all people as people, and is rooted in integrity, buttressed by courage, and expressed as unconditional respect for all people. This important and even unsettling book is a clarion call to rethink how the police serve the public. Colwell and Huth have struck a chord of innovation and crispness which will assuredly provide a working framework for police authorities as they engage the challenges of policing dynamic communities of the twenty-first century. The concepts of integrity, courage, and unconditional respect for all are critical elements in the development of law enforcement professionals, yet they reflect a gap in many of today’s law enforcement training programs. This book is a positive step towards filling that gap. This book inspired me; all Americans should read it. Colwell and Huth seek nothing less than to effect a transformation of how we educate and train police officers. Their argument is well grounded, well supported, and compelling. 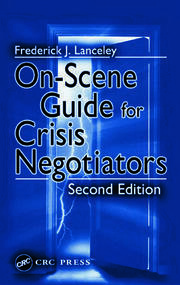 This will be a classic in leadership education for first responders and any who seek to serve and protect. Colwell and Huth present us with an amalgam of theory, best practices, and sound advice that if followed, will lead us down the path of transformation. We would do well to follow the map that they have provided for us. I have undergone a training regimen this year that includes the precepts taught in this text, and I approve of it without reservation. This attitudinal recognition will make you a better police officer and a safer one. Every enlightened law officer should read this book and then live it. The authors offer a thorough assessment of the law enforcement community and the underlying problems that impede career excellence. Their provocative exploration into the human psyche encourages officers to more completely understand themselves, all the while providing empirical data that link this self-awareness to officer safety. … a courageous book that will, for those of us who courageously embrace its message, forever change the way we do police work for the better. … For those who have fallen into the trap of discouragement and cynicism, it will show us the way out of that darkness and renew our belief in the fact that we can make a difference if we care enough to change. If law enforcement can move toward a model of unconditional respect, many of our problems will become much easier to manage: officers and citizens will be safer, community trust will grow, and our world will be a safer, saner place in which to live. I heartily recommend this book! From the moment of reading the title of this book, I was hooked. … In a world where dignity and respect are sought-after commodities, it was refreshing to read such a thoughtful and scholarly discourse on how to give and receive those gifts. Threefold strength of profound philosophical depth, practical hard-won experience, and professional integrity. May all those entrusted with the safety and welfare of the public be inspired and guided. This book and these principles hold the power to do more than transform law enforcement. These same principles hold tremendous value for success in the Boardroom or success in the War room.